An optimum blend of herbs and mushrooms individually formulated for dogs designed to support the urinary tract. Contains natural antimicrobial agents such as Uva Ursi and Cranberry, which studies have shown may reduce the ability of bacteria to adhere to the lining of the bladder and urethra. Poria and Polyporus mushrooms have been shown to act as natural diuretics, while Marshmallow soothes inflamed and irritated membranes. 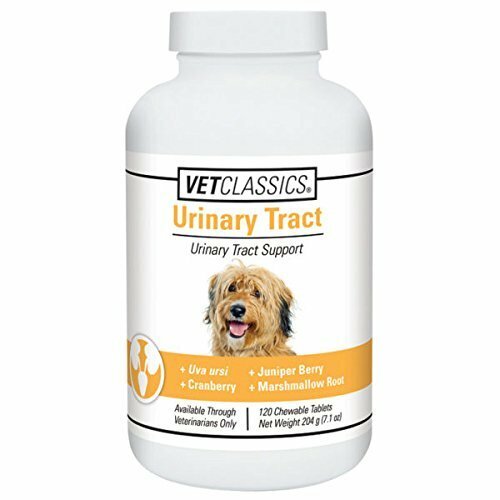 Nutritionally supports pets suffering from temporary deficiencies due to cystitis, bladder stones, bladder inflammation and associated symptoms. If you have any questions about this product by Vet Classics, contact us by completing and submitting the form below. If you are looking for a specif part number, please include it with your message. Apocaps | EverPup EVERPUP Ultimate Daily Dog Supplement,6.35oz.